If you’ve got a yen for a delicate blend of creamy aromas and the hints of almond and hazelnut, yell out BINGO! 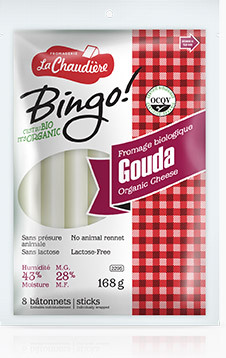 Because that’s exactly what you get with our organic Gouda. • Lactose-free firm, pale beige, rindless, and made from organic milk using microbial enzymes from plants and thus no animal rennet.